The husband gave up food 3 days back. Unusual weight gain was the culprit. As luck would have it, I’ve landed myself with a case of excessive extremism. My objection was deemed, un supportive, so I shut my case. I let nature take it’s course. But 3 days without food was enough to put the hungry back into track. He asked for something to “eat”. I silently heaved a sigh of relief, careful not to belittle his accomplishment, I suggested various healthy alternatives to break the fast. After careful deliberation, he whispered, “pongal”. 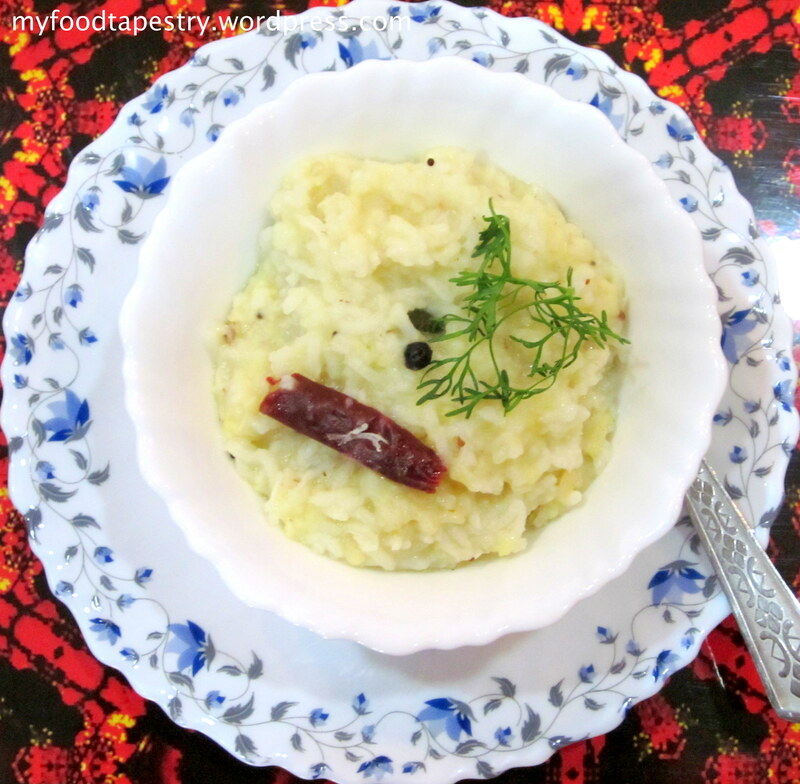 Pongal is a south indian rice and lentil porridge or khichdi. It is minimally spiced smeared with the goodness of ghee. Being light on the digestive tract, it’s usually fed to all age groups, be it a 6 month old baby or an ailing 80 year old. Hing or asafoetida imparts a wonderful flavour to this soft slightly mashed, highly nutritious tamilian breakfast. Firstly, wipe the mung dal with a cloth. In a pan, heat ghee. Once hot, throw in the cumin seeds, red chilies, curry leaves, asafoetida, whole peppercorns and the dry wiped mung dal. Saute till the dal turns into a slightly darker shade of yellow. Now add the grated coconut, rice, water and salt. Pressure cook for 2-3 whistles. Else, cook in a pan, till it is of mashable consistency. Once done, remove in a bowl, garnish with chopped coriander and top it again with ghee. Roast the cashew nuts in slight ghee or just toast them. 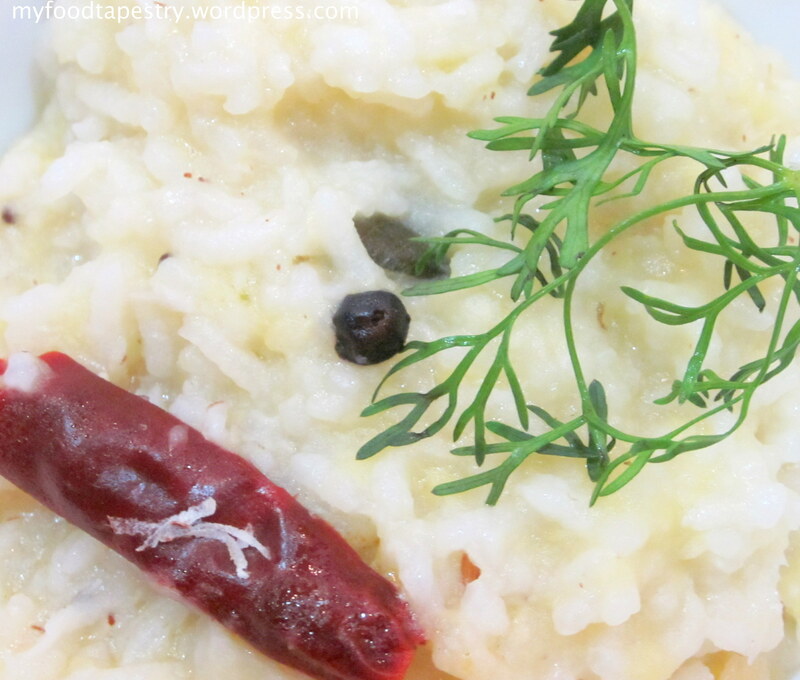 Use it as a garnish or throw in the pongal and mix well. To serve: you could serve it with coconut chutney or with cucumber raitha or simply with a bowl of curds. Healthy, Light and Yummy. Ideal for breakfasts. It’s filling and gives you enough energy to last a good couple of hours. It gives me inexplicable satisfaction to see my family well fed and well taken care of. When wholesome food like a simple humble pongal makes way into the systems of my loved ones, I relax and repose. At least for some time. Let my worries, worry me later.